Secondi Consignment - Treat yourself to affordable luxury with designer consignment! Located in Washington DC's Dupont Circle neighborhood since 1986, featuring designer and luxury women's clothing and handbags, shoes, jewelry, and accessories. Secondi will be closed on Easter Sunday. We wish you a beautiful day! 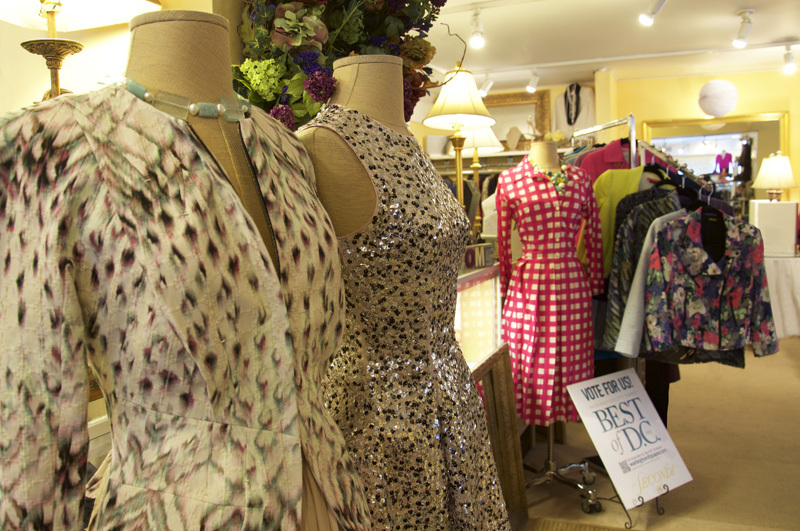 Secondi is Dupont Circle’s longest-running women’s consignment shop, featuring both the latest styles and timeless classics since 1986! Secondi has something for everyone–whether you are a designer collector, a fashionable professional, a trendsetter, or a woman on the go. Find your favorite labels all in one boutique! Our store is a sunny and spacious meeting place for women. We not only welcome customers from all over the world, we are honored to have consignors from all over the U.S.! 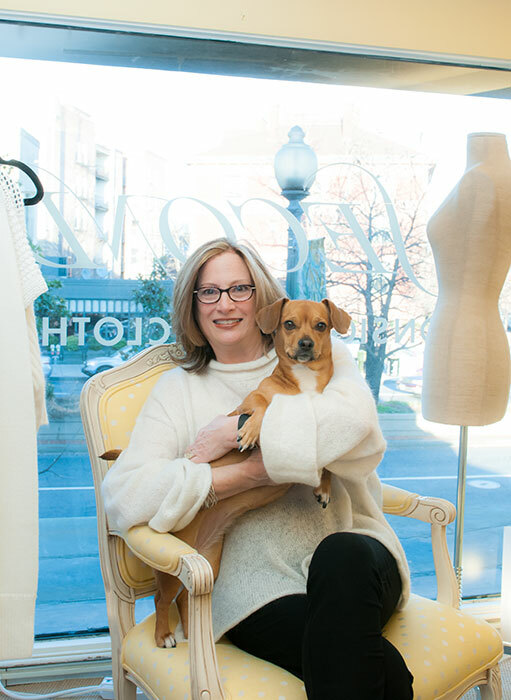 Our dedicated staff includes several members who have been with the store over ten years, and Secondi has been owned and operated by Caitrine Callison since opening. 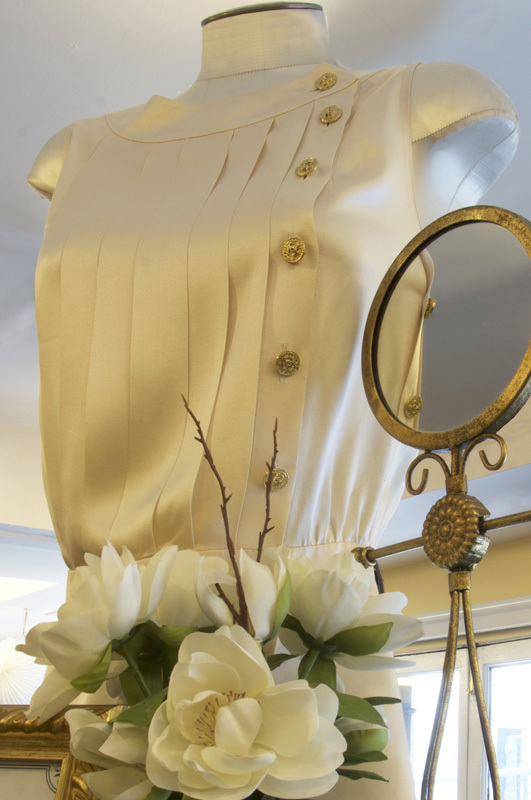 Our staff, our great location, our loyal consigners, and our first-rate selection makes Secondi a warm, intimate shop where you can find everything you need to look your best, at a reasonable price! Easy to get hooked on this consignment store! –Marni W.
It’s as good as consignment shops get. –Catherine C.
Secondi re-enforced my faith in consignment shops. –Lisa M.
This is a great place to look for all the designer styles but at much more reasonable prices! – Michelle M.
All you fashion-conscious women out there — I would really suggest making the trip to check this place out. – Alexis G.
The staff is pleasant and does a good job of keeping the enormous inventory well-organized. 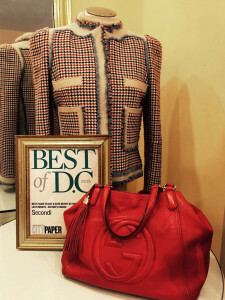 – Judi D.
Besides the reasonable prices, it’s nice to hit up Secondi for clothing that might not be the very same item that every woman in DC seems to be sporting on a given week. – Erin W.
Definitely was not disappointed. In fact, had to pry myself away! –Lara R.
I walked upstairs and the staff welcomed me immediately the atmosphere was bright and warm. I had a hard time leaving and LOVED the adventure of not knowing what I’d find. – Mel B. Review each one of your pieces carefully. Explain which pieces we will (or will not) accept and why so you have a clear understanding for future consignments. Price your pieces and review the prices with you. Provide you with an itemized receipt and a copy of your contract. To schedule an appointment, please call us at 202-667-1122. Following your appointment, your items go out to sell the same day! As the consignor you will receive 50 % of the selling price once your item has sold! You may use this money as store credit or request a check. Checks are issued only by request: since it is your money we will wait to hear from you. To keep our request volume manageable we ask you request payment no more than once a month. We will let you know at the time of request when your check will be ready! Please know we are unable to return items once they are consigned at Secondi. If an item has not sold by the end of its designated selling period, or if we find after accepting it that the item is soiled, damaged, or defective in any way, we reserve the right to donate it in your name to Bread for the City or Martha’s Table. We are happy to provide tax forms upon request after the end of the year. Exceptions to this policy can be made for select high-end items. Please contact us before your appointment for more information. These are our most important terms for consigning at Secondi; we will personally review all of the terms of our consignment contract with you during your appointment to make sure we answer any questions you may have! What we accept at any one time is determined by our current inventory. We ask consignors to please bring a maximum of 30 items per consignment. We accept better department store and designer/couture labels; please see our Label Guidelines if you are unsure. Please feel free to give us a call if you have any questions about a specific label. If possible, please bring any authentication cards, tags, etc. you may have when consigning Chanel, Gucci, Louis Vuitton, etc. We accept clothes that are in-season or are just anticipating the next season. We can’t hold your fall items in April–we just don’t have the space! Clothes sell quickly and at better prices when the season is right. Towards the end of each season we grow more and more selective. *Please keep in mind that all clothing is contingent upon weather at Secondi! The stated timelines above are simply a guide. At the moment we are accepting spring items. This means pretty dresses for day and evening, sweaters, and jackets/coats that are unique and/or high-end. We are not yet accepting linen, eyelet, and seersucker items, and are being highly selective with boots, leather jackets, and outerwear. We are no longer accepting shearling, heavy down, velvet, or fur items. We can’t sell items that are wrinkled, stained, or damaged in any way. Items should be clean, pressed, and on hangers (within reason, of course. You don’t need to iron your jeans!). We are unable to evaluate or accept any items that have been stored with mothballs. Do not bring in items that have been treated with mothballs. To help your items look their best, please do not bring in items in plastic garbage bags. Once you’ve consigned with us by appointment, you are free to drop off your items at your convenience! If you haven’t consigned with Secondi before, see above on making a first-time appointment to set up your account. 1. Complete the Drop-Off Listing Form (downloadable below). You may do this before you come, or in the store–whichever you prefer! If you are bringing in more than one bundle or group of items, we ask a separate item list be filled out for each. However you need sign only one Drop-Off Agreement line per consignment. 2. Bring your items in during drop-off hours (see below); we ask clothing be neatly folded (or on hangers if they are easily wrinkled). 3. Hand them over to one of our staff members; after we make sure that all forms are complete you are free to shop or be on your way! We process drop-offs on a first-come-first-served basis (on average between 3-7 days) and will email (or mail if you prefer) an itemized list of the items we were able to accept, the prices, and a tally of any donations. We are unable to return items once they have been dropped off. If there are any items that you would prefer to have back if we are unable to accept them, you may prefer to set up an appointment at which time we will be happy to review your items and their prices with you. Any consignment that is mailed in will be considered a drop-off and reviewed as such. We have changed how we provide Bread for the City donation forms: we now provide, by request, an end-of-the-year donation form that tallies total donations for the year. Please request a Bread for the City form after December 31st. New!! Check your Secondi account balance online here! Your username and password will be the email address Secondi has on file for you. If you have any technical issues please contact us. UPDATE! We have finally integrated drop-off-agreement forms and listing forms into one form for drop-offs. Hooray! Now all you need to leave for a drop-off is the Drop-Off Listing Form, completed as usual, and signed either digitally or in ink on the signature line at the top. Questions? Give us a call at 202-667-1122. These are rough guidelines; they are not set in stone. We have more success selling well-known and designer labels than we do with less expensive brands or junior labels (XOXO, Rampage, and Forever 21). Our general rule is that if it’s hard for you to part with, it will probably sell well! 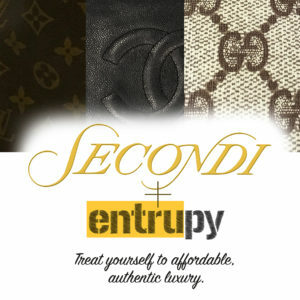 Secondi is proud to be the first consignment shop in DC to offer authentication services by Entrupy! All materials (excluding fabric and exotics). Read more about Entrupy here! *Services are currently limited to the materials and brands listed above. More brands are being added to Entrupy’s database all the time, so keep checking back! **Hermès authentications are offered for $149, with a 24-hour turnaround. © 2016 Copyright Secondi, Inc.